What is a home stager? This is a question I often receive when I discuss some of my real estate business interests. 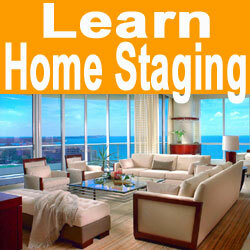 Some people simply have never heard of home staging and really do not know exactly what home stagers do. I am always thrilled to have the chance to share my home staging experiences with friends, associates or even perfect strangers. This is because I honestly and sincerely believe that property staging is an extremely valuable and rewarding topic, which should be thoroughly understood by anyone who currently owns a home or will at some point in the future. This discussion answers common questions about the nature of the home staging profession. 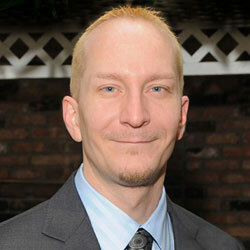 A home stager is an aesthetic design professional who works in the real estate marketing industry. It is crucial to remember that home stagers are not simply decorators. They are marketing experts. The purpose of staging real estate is not to satisfy the interior and exterior décor desires of the home owner. Instead, staging is enacted to provide an enhanced impression of the property, making it more appealing to a wider range and larger number of prospective buyers. The easiest way to understand what a home stager does comes down to this: Stagers get homes sold faster and for more money. It is a simple truth, but let’s explore deeper into this fascinating industry. You can be your own stager. DIY home staging is very popular and can make some terrific changes in a home with minimal cost, but maximum effort. It helps to utilize tools, such as home staging books, magazines and television shows when acting as your own stager. Full service home stagers do everything for you. They plan, design and execute, taking all the work out of property staging. Of course, the trade off is a much higher cost. While the price might be higher, the expense is still tax deductible and is a great investment in your property marketing plan. Home staging consultants can be the ideal compromise solution for many sellers. Consultants will design and plan the entire staging project, but will leave the execution up to the homeowner. This saves the majority of the cost and allows far more freedom in creating an atmosphere which will appeal to buyers, yet still be family-friendly while the home remains on the market. Ok, so now you understand what a home stager does and the various types of real estate stagers that work in the industry. If I had to wrap it all up in a neat package for you, here is my final answer to your query about property stagers: A home stager is someone that you will need in order to get your property sold faster and more profitably than your competition. Got it? Ok, enough said. If I can help you in any way to plan a staging project for your most valuable investment, please feel free to contact me at any time.